New Hyde Park Memorial High School’s Future Business Leaders of America held its annual Dress-to-Impress Breakfast on Nov. 9. More than 200 FBLA members had an opportunity to dress in business attire, similar to what many professionals wear in the workplace, and attend a breakfast in the cafeteria. 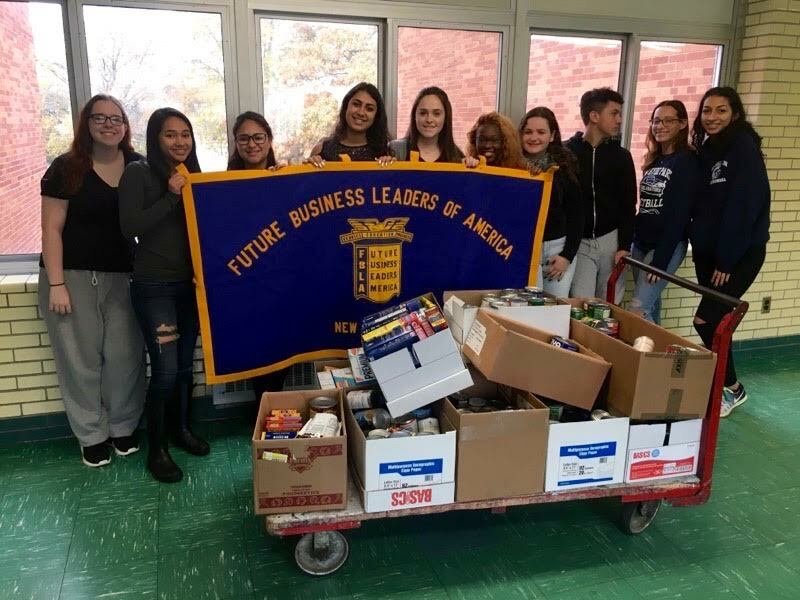 In addition to attending this lovely breakfast, members donated two or more nonperishable food items in conjunction with FBLA’s annual Thanksgiving food drive. St. Vincent de Paul’s Church pantry picked up the more than 500 nonperishable food items donated by our students on Nov. 20. Thank you to all the FBLA members for another successful year of giving back to those in need. We look forward to many more events during this school year that allow our members to stand out and contribute to our great community and New York State. Photo Caption: New Hyde Park Memorial’s FBLA attended the annual Dress-to-Impress Breakfast and collected food for local families in need.